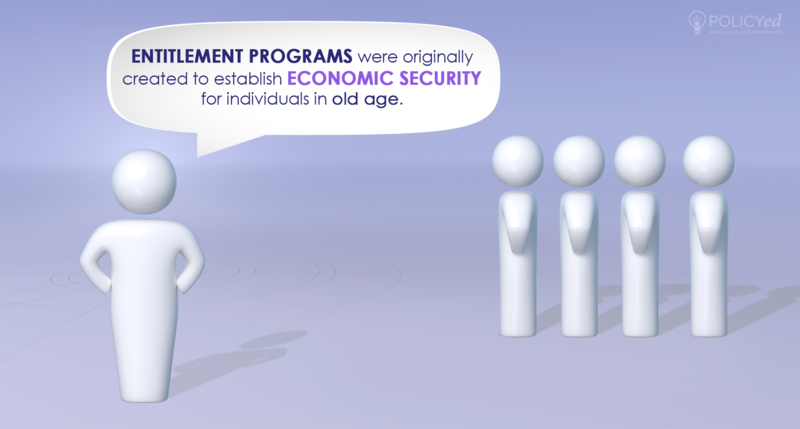 Entitlements grow over time because of a force called “the equally worthy claim,” where eligibility for benefits continually expands until programs no longer resemble their initial, honorable intentions. The 2018 Hayek Lecture: John Cogan on "The High Cost of Good Intentions"
The original purpose of entitlement programs was to provide economic security for individuals in old age. 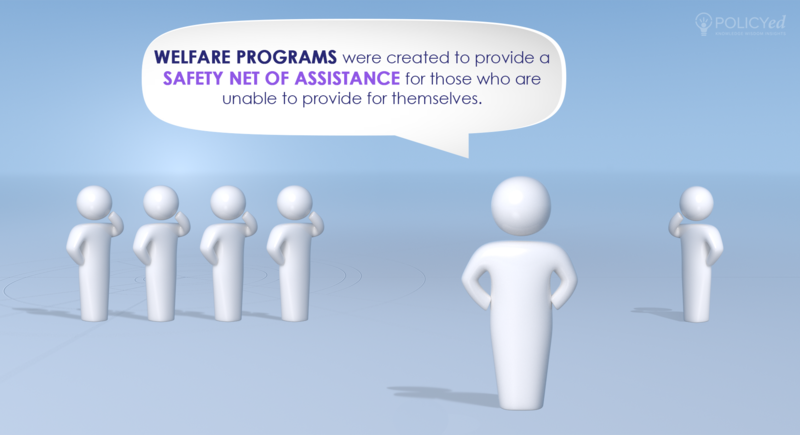 The original purpose of welfare programs were to provide a safety net of assistance for those who are unable to provide for themselves. 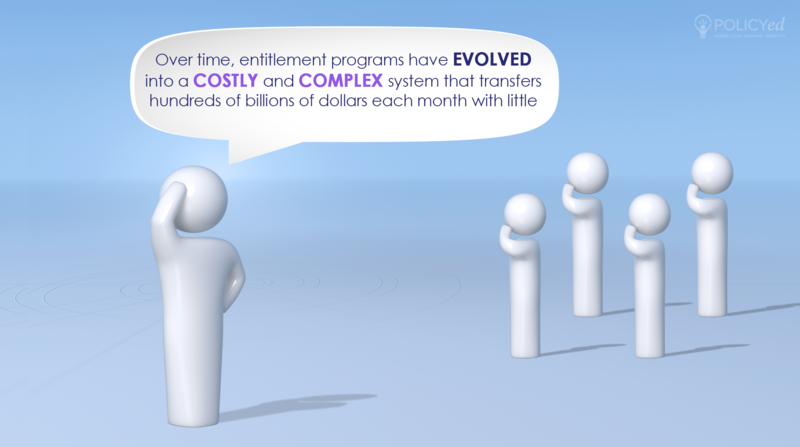 The entitlement programs have evolved into costly and complex system that transfers hundreds of billions of dollars each month with little regard for financial need. 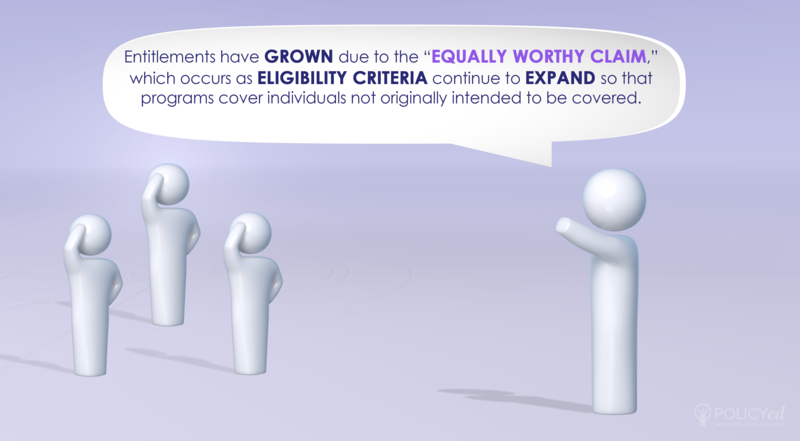 Entitlements have grown due to the “equally worthy claim,” which creates a system in which more and more groups come forward for eligibility as the eligibility line expands. 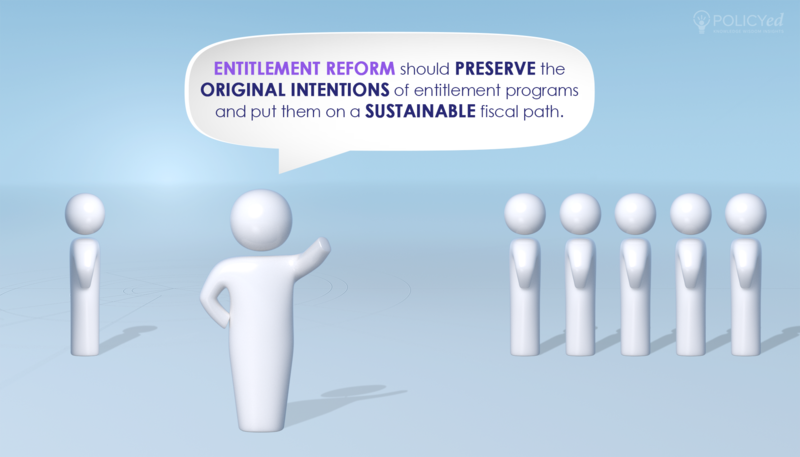 Entitlement reform should preserve the original intentions of entitlement programs and put them on a fiscal path.